Today’s shopping experiences are all over the place. And for merchants, it’s getting harder and harder to track – let alone to master. We’re seeing people switching between mobile, desktop, brick and mortar stores, and social media, with barely a breath between each channel. Some 73% of shoppers now engage with sellers via more than one channel along their paths to purchase. And consumer interactions are crossing more touchpoints than ever before – spanning some eight channels in 2018, up from three in 2014. Retail interactions in the context of native mobile apps, meanwhile, have increased 50%, year on year, adding yet another option to the omnichannel mix. Once heralded as a phenomenon specific to “digital native” generations, omnichannel shopping is hardly limited to people of specific age range demographic cohorts. In fact, a comprehensive BigCommerce study found that all generations have shopped across channels in the previous six months. Of course Gen Z is far more likely to shop via Snapchat than Gen X, but did you know that Baby Boomers buy products on Facebook nearly as commonly as Millennials? BigCommerce’s survey data reveals some interesting patterns. Taking the big picture into account, though, it’s important to remember that as touchpoints increase and social media shopping continues to rise, customers expect a seamless, consistent omnichannel shopping experience that allows them to effortlessly pick up where they left off. As a seller, that’s your objective. Here are five key tips for omnichannel mastery in 2019. Consumers communicate with each other across multiple channels, of course. After suggesting a coffee date with a friend on Facebook, they might then WhatsApp to confirm the time, send a Google Maps pin to clarify where they’re meeting, call to say they are running late, and then have a chat in person. They want the same seamless omnichannel communication with brands, too. One great example of offering an omnichannel experience is Starbucks, which has a loyalty rewards app for customers to earn free coffees. You can check your rewards level and add more credit via the website, your phone, or in-store. If you top off your balance while standing in line, the cashier sees the change when you come to pay. It’s the same story when something goes wrong. It’s not enough for retailers to offer customer service on multiple channels. To be truly omnichannel, service agents need to know the consumer’s full buying history at every touchpoint. Consumers expect to hold cross-channel conversations with the same customer support representatives, and they become frustrated when they have to restate their concern at each interaction. One of the basics of omnichannel selling is to keep your inventory details up to date across every channel. The customer who checks stock levels of emerald shoes at a nearby store on her smartphone, but arrives at the store to find that they are all sold out, loses faith in that retailer. It’s equally important for product descriptions and prices to be consistent. A retailer that has a website, a brick and mortar store, and a shopping app needs to provide the same information – with the same language, sizing, and prices – at every touchpoint. A shopper who falls in love with “burgundy” dresses that she sees on Instagram expects to find them when she searches the shopping app. But if the app has the color tagged as “wine,” she won’t find it. When Zara started accepting online orders in India, one of the selling points they offered was a guarantee that the same inventory listed online would be available in-store, and for the same prices. Customers blend their online and offline experiences, so retailers need to follow suit. Approximately 82% of shoppers use their smartphones while in-store to look up product information or compare pricing. To master omnichannel, retailers should make it easier for in-store customers to check stock levels, compare pricing, and examine product details online. Barcode scanning combined with accurate, unified inventory data (as mentioned above) can turn in-store shopping into a successful omnichannel experience. It’s something carried out successfully by fashion chain Oasis, which equips store assistants with iPads to help shoppers find product details and even to order items online. 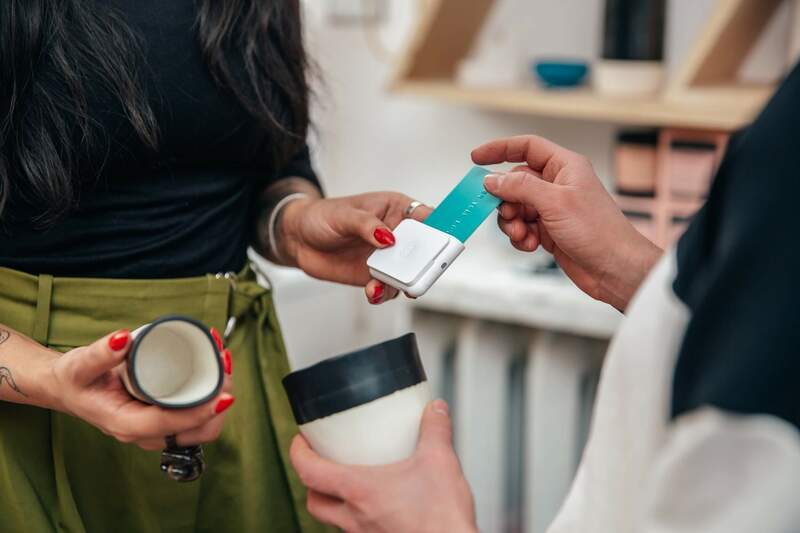 Another tip is to use near-field communication (NFC) technology to spot when someone who’s previously visited the website or browsed styles on Instagram is close to a brick and mortar store. Retailers can beam a discount coupon or sales alert when they detect a previous or potential customer in the vicinity, to attract attention to the store. Sending a discount code for a brick and mortar store purchase to a shopper who spent time on your social media feed is another way to turn online shoppers into omnichannel shoppers. Although consumers swap channels so readily, they still want to visit the same place on every platform. Maintaining brand consistency is crucial to make customers feel comfortable. This means keeping to the same layout, color scheme, navigational hierarchy, tone, and other consistency factors across every channel. Disney has been praised for their success in this area; the Disney brand voice doesn’t falter whether it’s in-app, in-store, at a Disney park, or on a mobile or desktop website. While customers can smoothly transition between app, social media, website, and brick and mortar store to research and order an item, the “last mile” of omnichannel shopping is delivery. For too many brands, this still hits some friction. Educated by Amazon to expect free next-day shipping, customers aren’t willing to wait to get their goods. They certainly won’t accept any lack of clarity about when to expect delivery. Gen Z shoppers say that waiting to get their product is their biggest dislike when shopping online, followed by having to pay shipping costs. Recognizing this, BigCommerce has recently rolled out its own shipping solution for online retailers, currently in beta testing. This speeds up delivery times for online orders while also reducing shipping costs. Most importantly, the service presents accurate delivery information so that the customer always knows when to expect his or her items to arrive. Rising consumer demands mean that mastering omnichannel is no longer an option. Fortunately, it’s not as complicated as it may sound. With the right tools and some attention to details, you can deliver a consistent, seamless omnichannel experience that keeps your customers satisfied.